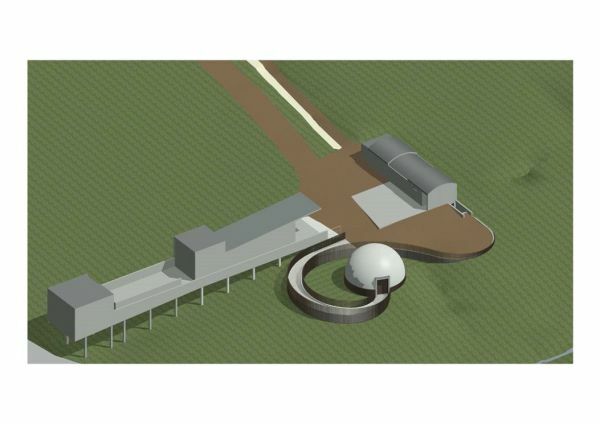 Newcastle-based architectural practice, JDDK Architects, have secured planning permission from Northumberland County Council on behalf of Kielder Observatory for the construction of a Planetarium as a further astronomical attraction to the increasingly popular Northumbrian scientific and tourist destination. Located just a few miles from the Scottish border high upon Black Fell under some of the darkest skies in Europe and the third largest protected Dark Sky reserve in the world, Kielder Observatory is a public outreach astronomical facility which now hosts over 40 events a month rather than the original few dozen that were originally envisaged at its opening in 2008. In response to the huge demand and interest, a second smaller observatory has recently been opened with the proposed Planetarium designed to further widen the facility’s offer to daytime activities or on cloudy, poor visibility nights.